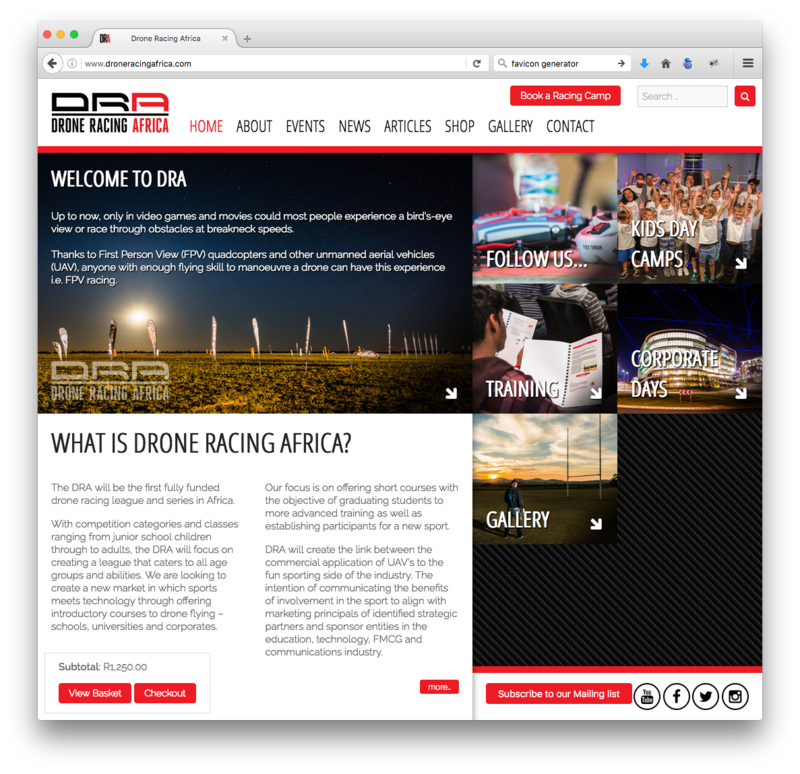 Drone Racing Africa (DRA) is the first fully funded drone racing league and series in Africa. With competition categories and classes ranging from junior school children through to adults, the DRA focuses on creating a league that caters to all age groups and abilities. GenSix Digital was asked to develop a fun website that would help the DRA grow its business online and market its drone flying courses. The website also needed to be an ecommerce website so that visitors could buy drone racing products online. In addition, GenSix Digital needed to create booking system that would allow visitors to register for drone racing courses and events.